Take a moment here and imagine a classroom. Let’s say you work with 4th graders and let’s say there are 30 students in your class (to make the math easy). It’s the first day of school. How many of your 30 fourth graders already read at a fifth grade level (or beyond)? How many can already handle fifth grade math (or beyond)? Could any of your fourth graders read with middle schoolers already? With an average high school student? Just how far could your highest ability students go if we didn’t limit them with “grade level expectations”? 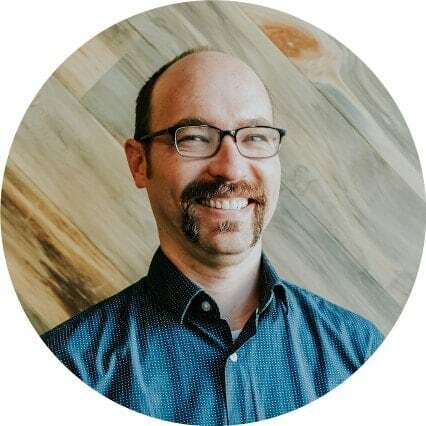 Matthew Makel, Michael Matthews, Scott Peters, Karen Rambo-Hernandez, and Jonathan Plucker (funniest keynoter I’ve ever seen at a gifted conference btw) set out to get a handle on this: just how many students are already above their grade level (and by how far)? Oof. We’re not talking one or two students in your 4th grade class, but six to twelve of your thirty students! 11-30% [of elementary and middle school students perform] at least one grade level above in math. Four Grades Above in Reading? Let that sink in. 1 out of 10 4th graders could be reading at an 8th grade level. That’s 3 students in a class of 30 reading four grades above! Four Grades Ahead In Math? Again, take the caveat that kids rarely get to move as fast as they could in math and realize that, in a class of 30, you’ve still probably got a student who is already four years ahead. How Far Could They Go… If We Let Them? 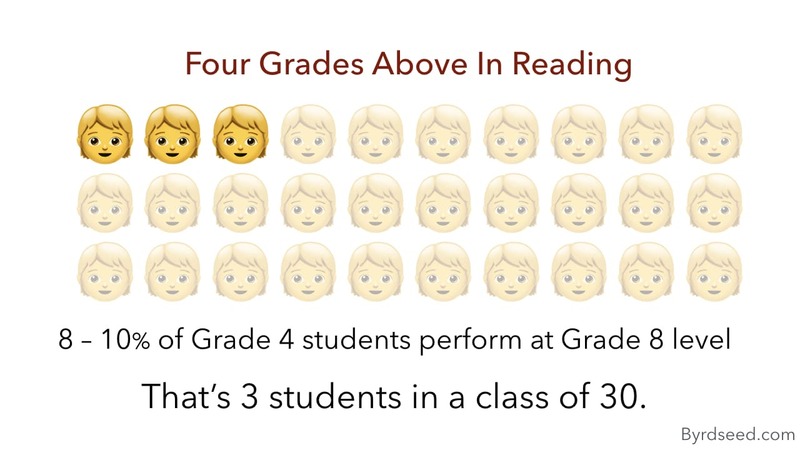 …in 2013 alone, more than 400,000 Grade 4 students performed above the level of the lowest quarter of Grade 12 students in reading. 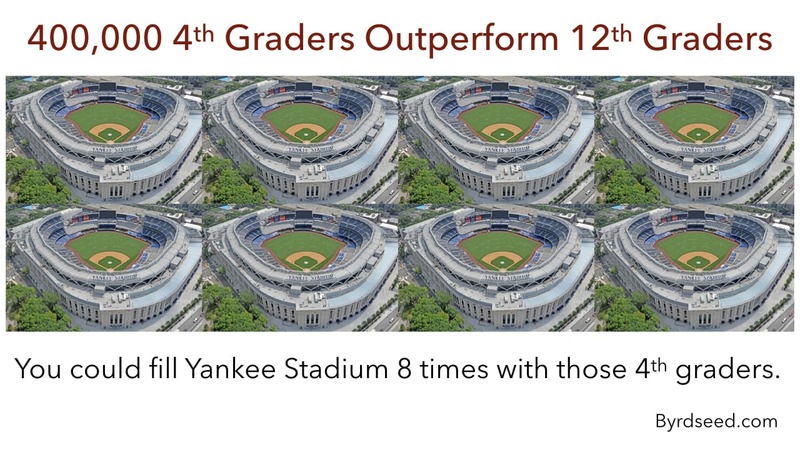 You could fill Yankee Stadium eight times with 4th graders who could perform better than the bottom quarter of 12th graders. It’s my greatest annoyance when folks say to me: “well, my 2nd graders can’t do that” or “that seems like a 5th grade idea but I teach 4th grade”. I hear it in every workshop I lead. Hopefully these findings illustrate why that mindset drives me up a wall: grouping by grade level is an arbitrary choice. The fact that a kid is in 4th grade tells you almost nothing about their ability. Some 4th graders can do “4th grade thinking” but some can only do 2nd grade thinking and some can do 5th, 8th, or even 12th grade thinking. According to the John Hopkins research, you might have eleven grade levels of ability in a 4th grade class. We should never limit students because of the grade number they happen to have. It makes as much sense as holding a student back from a certain book until they hit a specific height. As a first grader, I was in a 1st through 3rd gifted combo. Sometimes I sat with the first graders. Sometimes I worked with the third graders. Sometimes I outperformed the third graders. Sometimes I learned from them. My teacher gave me what I was ready for. When I was in 5th grade, I read the same books I read now as an adult. Literally the same books! (I just did a re-read of Jurassic Park) When my dad finished a book (and deemed it appropriate), he handed it down to me. I ate it up. My 6th grade class performed Shakespeare’s Macbeth in front of our elementary school. No “kid-friendly language” either — the real deal. I still remember lines: So foul and fair a day I have not seen! So, do read the whole paper and, this year, see just how far you can push your top students – regardless of their age! Previous What Do I Do With My Fast Finishers?